The services of our Global Family Office go far beyond classic asset management. If you wish, we can simply take care of everything. There is no need to spend time or effort on administration when we can help you. Your personal family office is available 24 hours a day, 7 days a week. We will invite you to a private meeting in one of our offices. Against reimbursement of the travel costs, we are also happy to visit you at a destination of your choice. 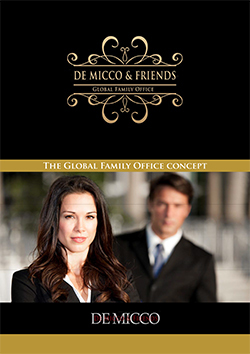 The Family Office is De Micco & Friends’ number one priority. 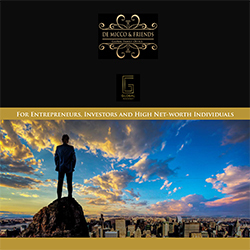 That is why you will be personally advised by a member of the executive board or an experienced senior partner. Due our international presence, almost all languages are spoken. At our European headquarters, we speak English, German and Spanish. We look forward to meeting you!